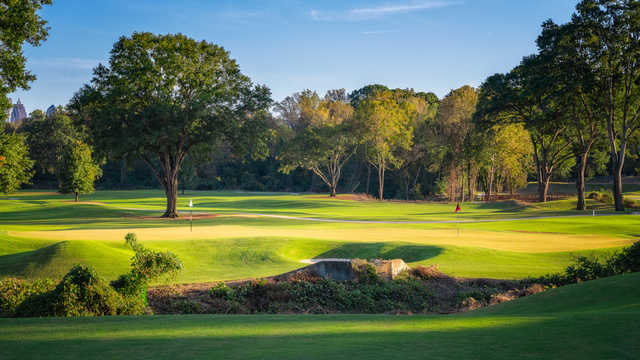 The new Bobby Jones features a unique, revolutionary reversible golf course, with multiple tees and large double greens that allow for two pin placements on each green. You can play it twice – for 18 holes – and experience a different course the second time around. But, it gets better; Bobby Jones is reversible and can be played one direction one day and the exact opposite direction the next – two completely different golf experiences known as our Magnolia and Azalea courses. This very unusual design was envisioned by the late and world-renowned Bob Cupp, and will be the only golf course of its kind it in the United States.